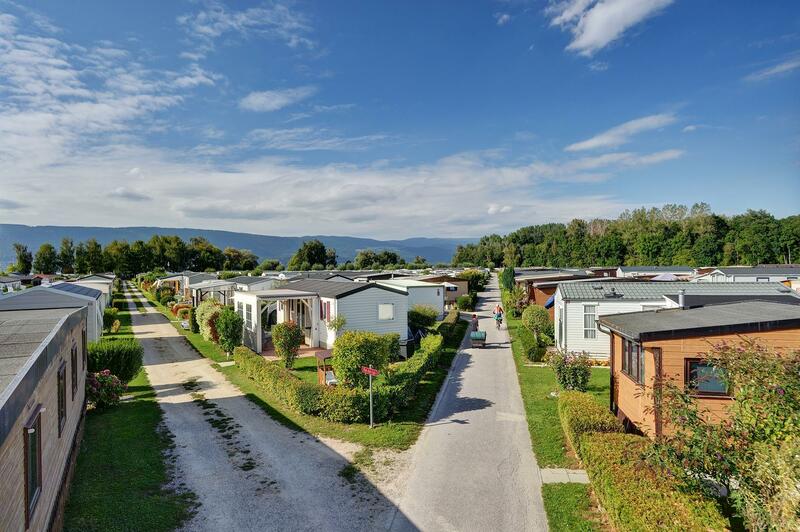 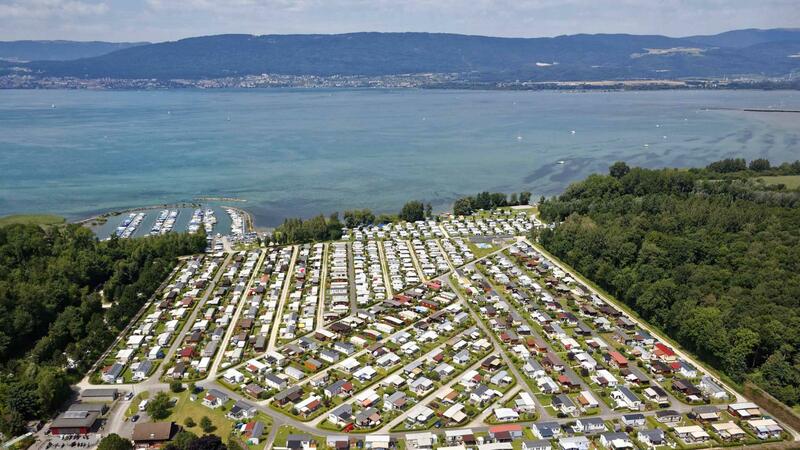 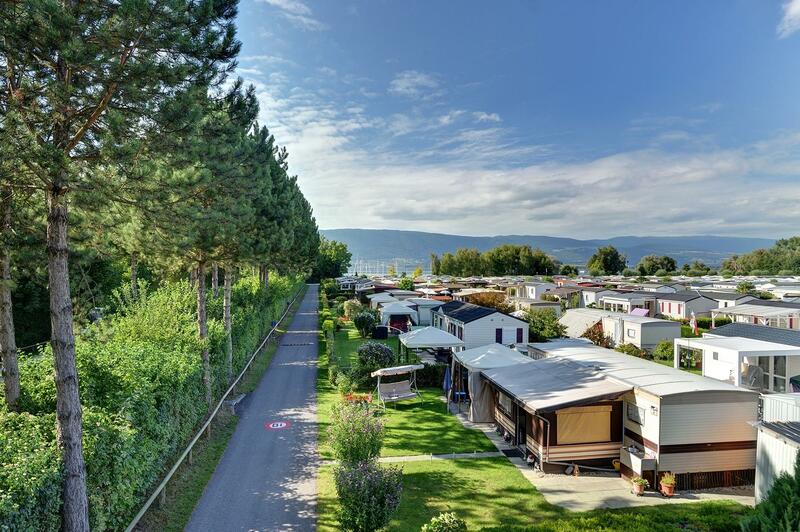 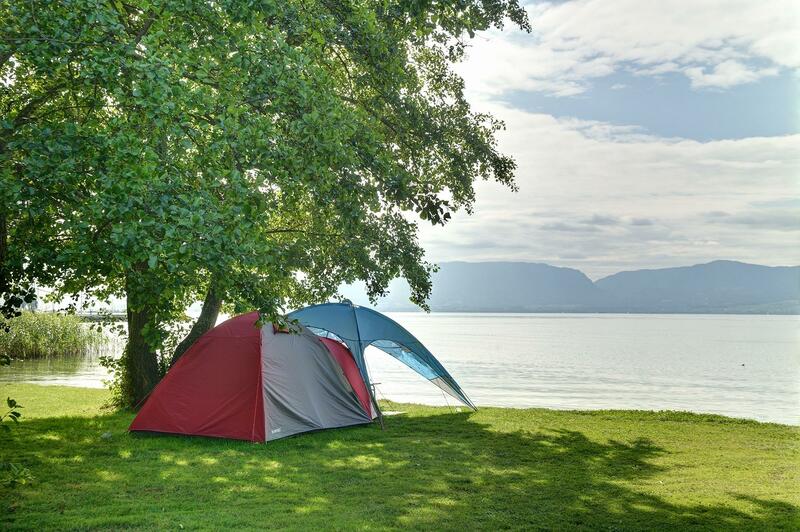 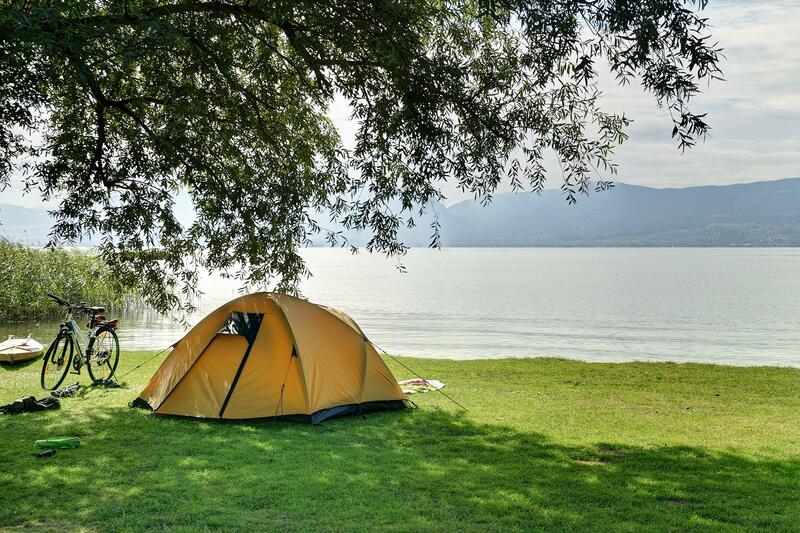 8.35 | CUDREFIN | Our camp-site is located on the shores of Lake Neuchâtel. 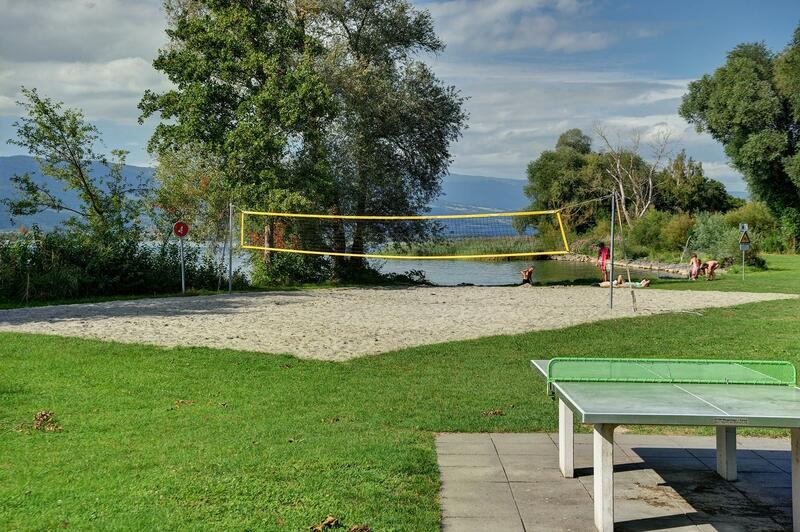 Enjoy the calm and peaceful family atmosphere, far from the bustle of the town and the stress. 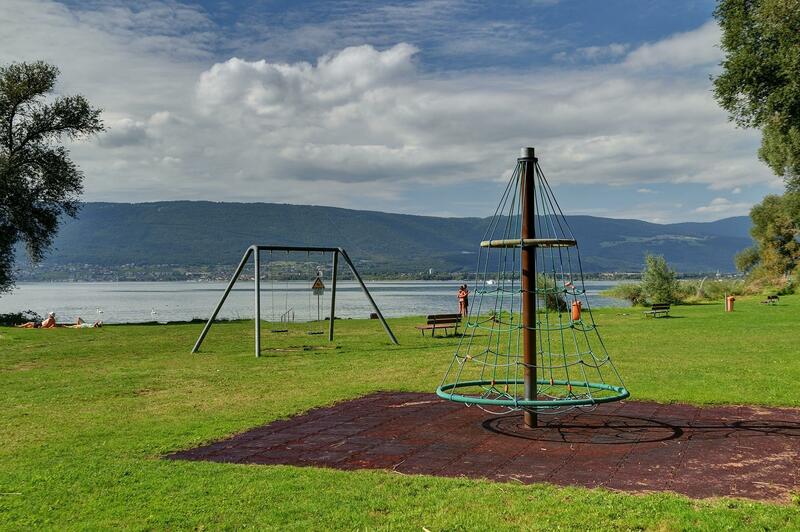 It features a beach with lawns, and a paddling-pool with a slide for the children. 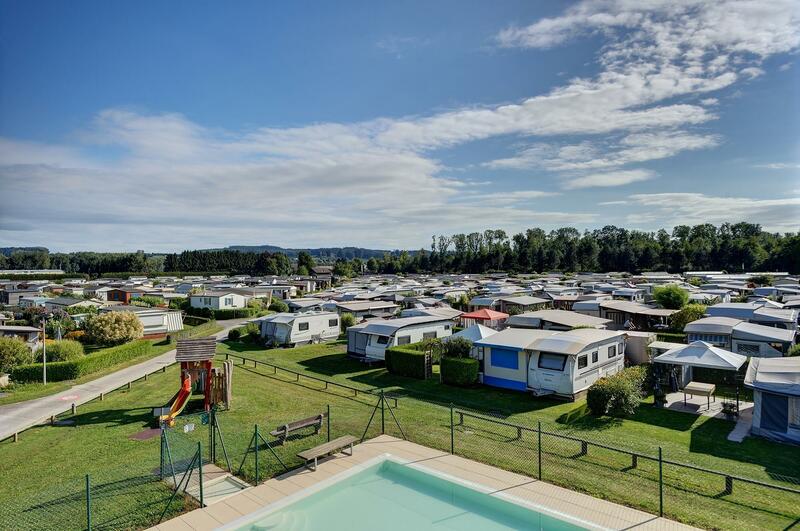 The site has washing facilities equipped with washbasins (with some in cubicles), family showers, and of course toilets and urinals. 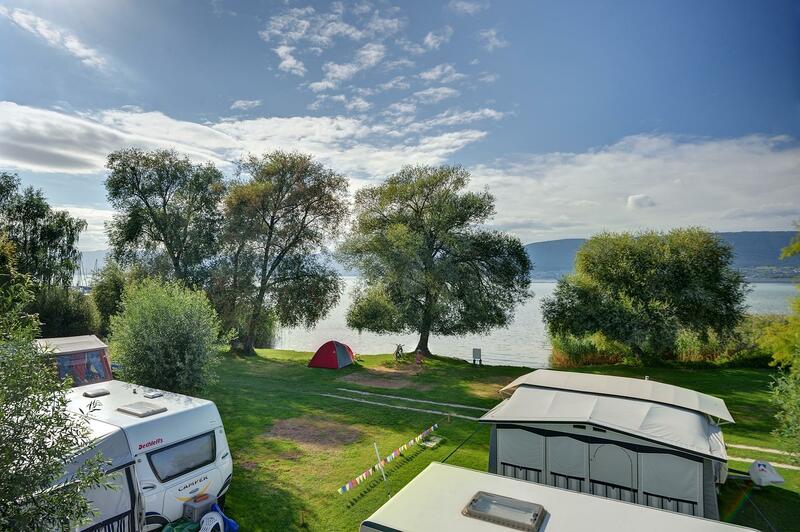 Hot water is included in the price. 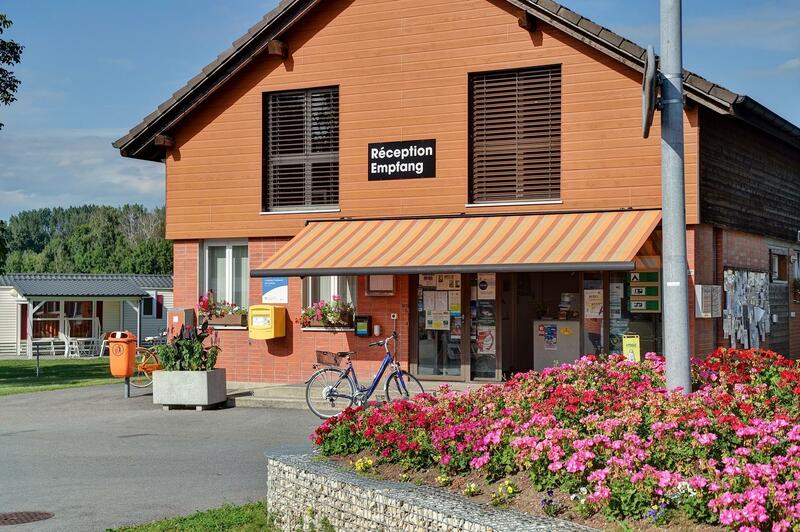 One building is equipped with sinks for washing-up, and one area is reserved for disabled residents (toilet, shower and washbasin). 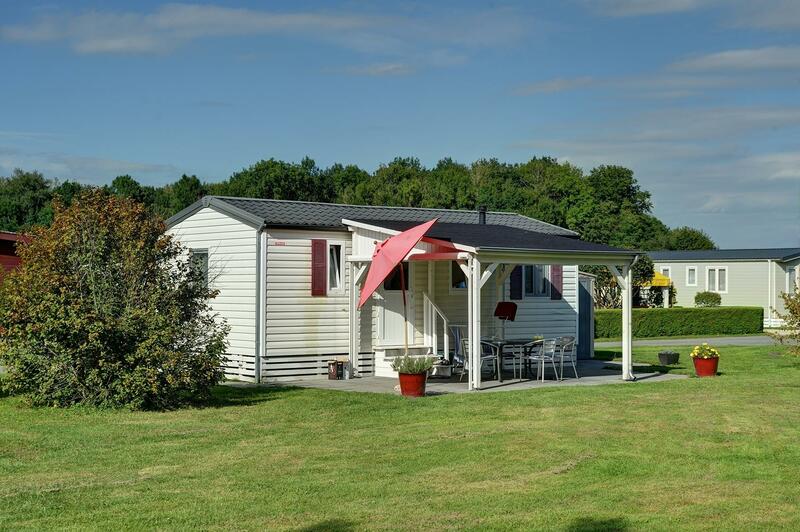 Two washing-machines and a tumble-drier are also available.